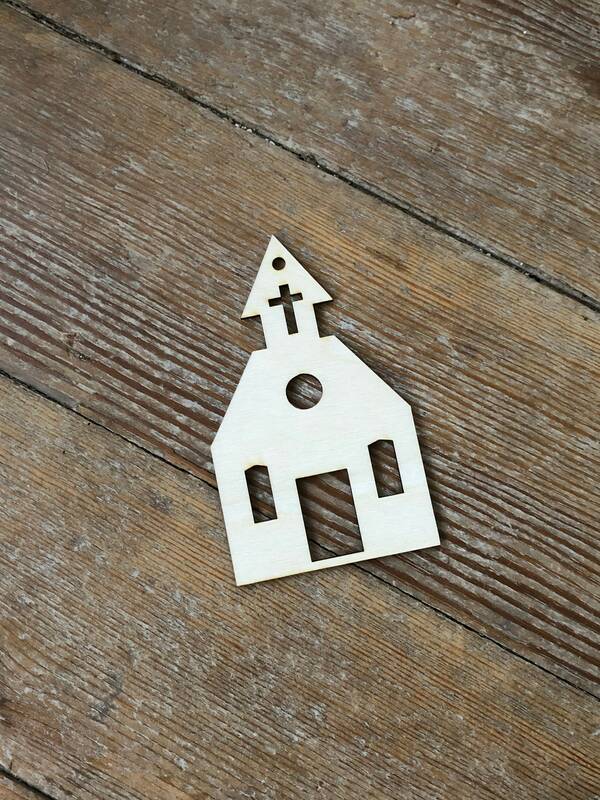 (1) wood laser cut Chruch ornament. 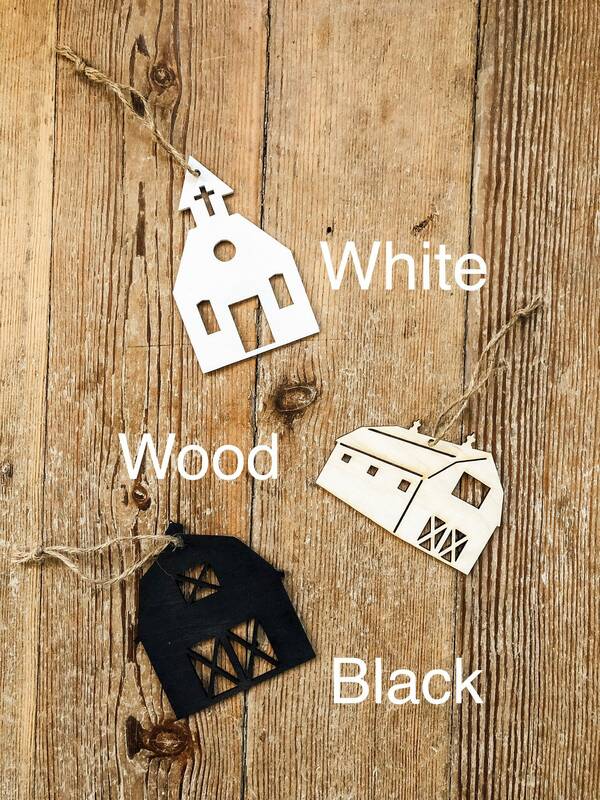 We can add engraving to to the wood ornament at .50 more per ornament. 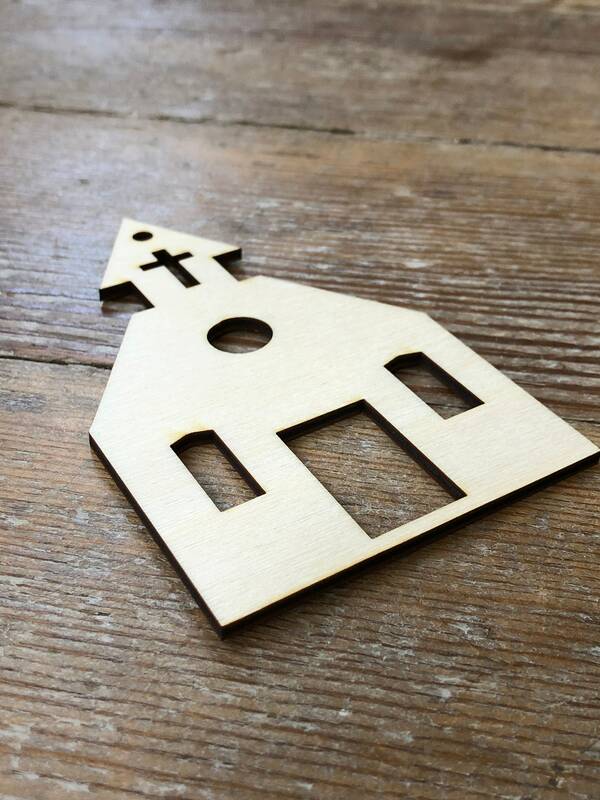 Please contact us with info. 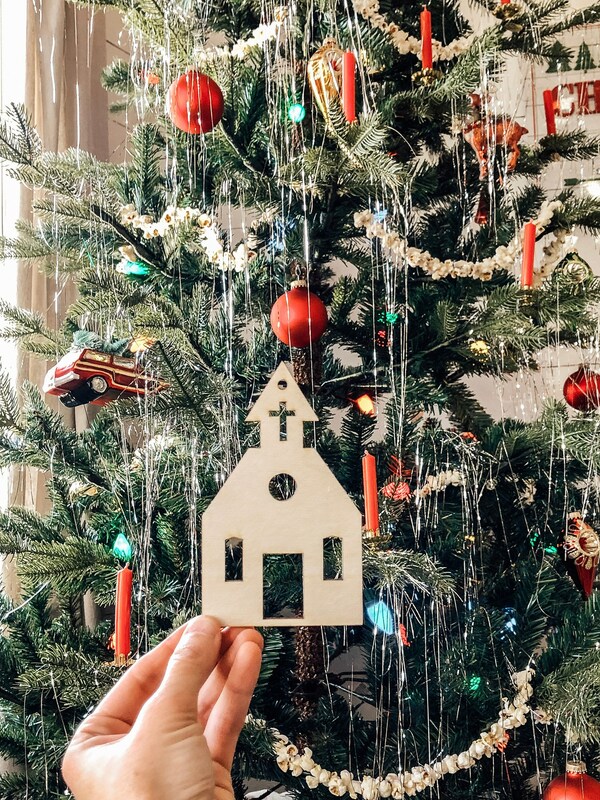 The church ornament shown in the first 3 photos is the church ornament you will be ordering.